Red and pink are usual colors for Valentine Day, but why stop there? 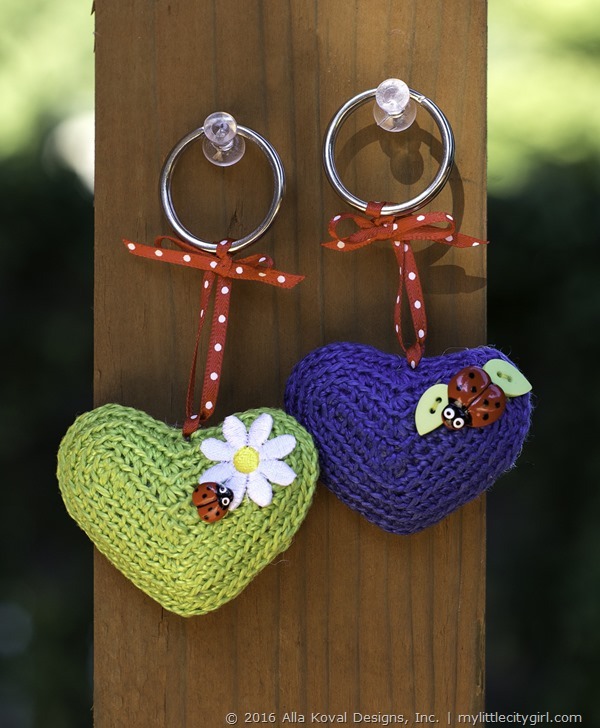 Crochet this keychain in your favorite colors and step out in style! Get creative and stylize it further by crochet with beads, sequins and other embellishments. Or just turn it into necklace, hair pin …or whatever you can think of! This pattern is also available for free download on Ravelry! Option 1: Omega Perle (100% mercerized cotton; 178 yd [163 m]/1.76 oz [50 g]): 1 ball of #529 lime green. Option 2: Omega Perle (100% mercerized cotton; 178 yd [163 m]/1.76 oz [50 g]): 1 ball of #508 royal blue. • Tapestry needle for weaving in ends. Please read and follow my copyright info. THANK YOU! Also, this pattern has not been tech edited, so if you find any mistakes or typos, please let me know and I will fix it. So cute, thank you ! Thank you so much ladies!! You are always welcome!